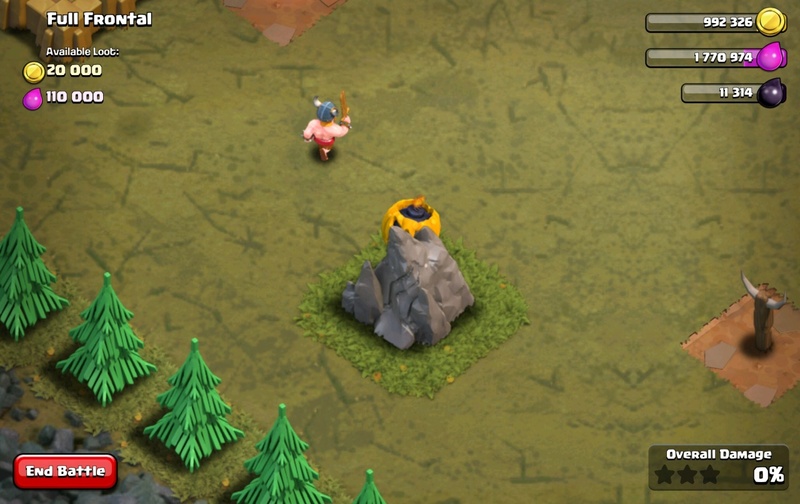 All Clash of Clans Game Secrets you want to know in our Media Library. 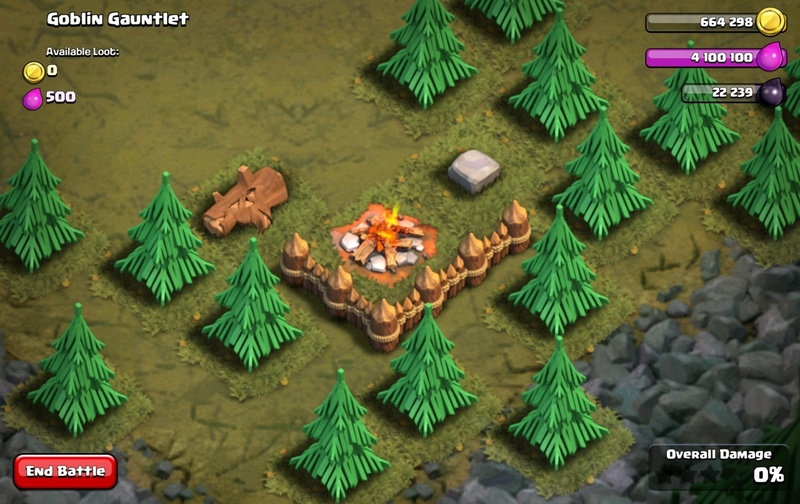 There is a Campfire at the bottom of the #5 Goblin Gauntlet Single Player map of what looks like an Army Camp, however this doesn’t count towards the percentage. Also you can see a Trunk and a small Stone to seat on them near the fire. 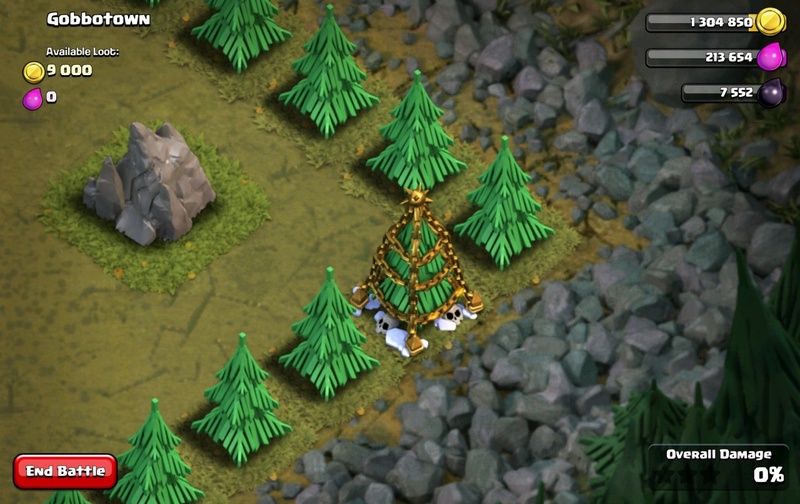 There is a Christmas Tree from the winter’s 2012 Game Update at the left corner of the #8 Gold Rush Single Player map. There is one hidden Pumpkin Bomb located in the #10 Rat Valley Single Player map. Video Clip for this event is Here. 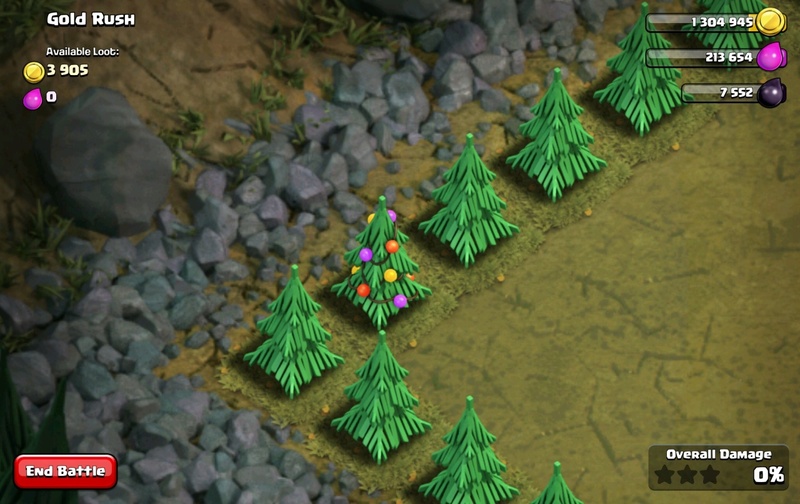 There is a Christmas Tree from the winter’s 2013 Game Update at the right corner of the #12 Gobbotown Single Player map. It’s also good for you to have one of this Decoration at your base. There are five level 3 hidden Skeleton Traps located in the #27 Obsidian Tower Single Player map. Look for them near the Halloween’s Headstone at the bottom corner. 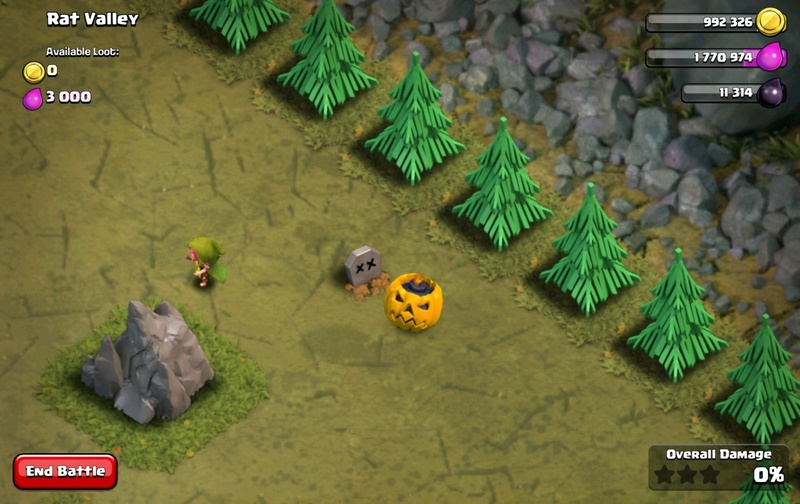 Even a level 40 Barbarian King alone is not enough to defeat all the Skeletons! There are four hidden Pumpkin Bombs located at the #33 Full Frontal Single Player map. There’s an Easter egg put in by Supercell most likely since the July 1, 2015 Update. 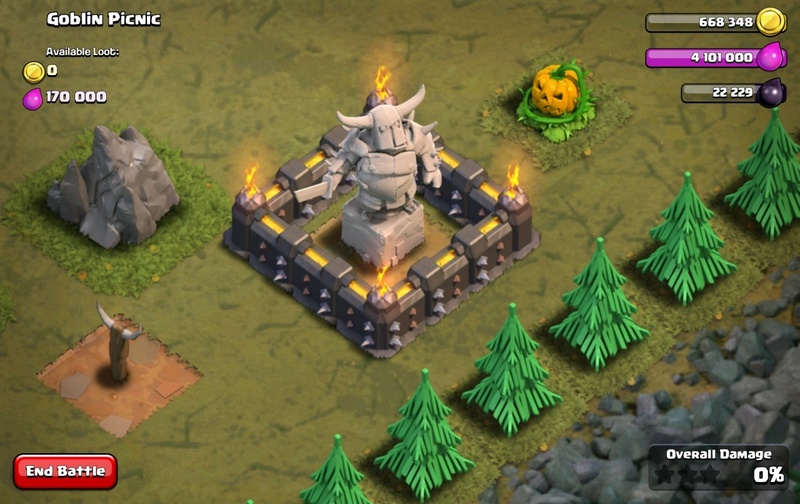 To do this, you must put a Jump Spell on the P.E.K.K.A Statue at the bottom right, use some Barbarians to get over the statue. Once they’re inside, they’ll trigger the Santa Strike trap behind the statue. Santa Claus will appear and drop several presents. This might mean that Supercell will re-implement Santa Strike this year.